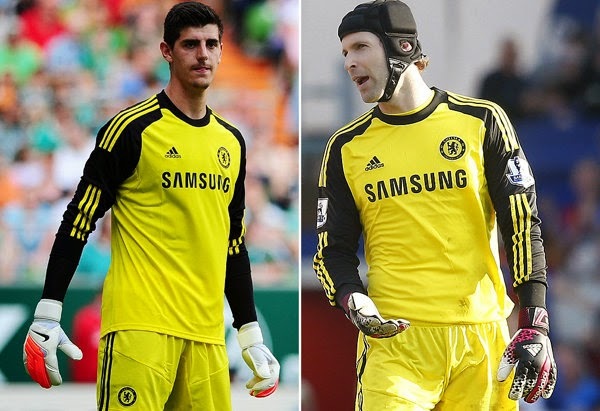 CECH vs COURTOIS: Ridiculous claims ahead of Goalkeeping battle. The battle to be in between the goal posts on a regular basis in the Chelsea starting eleven is one that the majority of Chelsea fans want to see this season. According to the latest reports, we may not have the chance to see it! We have all seen the articles flying around at the minute stating that Thibaut Courtois is confident that HE will be Jose Mourinho's first choice this season and will be selected ahead of Petr Cech. Have any of you seen a direct quote from the Belgian stating this because I haven't? For me the press are doing their best to try and de-stabilise the harmony at Cobham before a ball has been kicked! You just get the feeling that the reporters are quite literally waiting for that first team sheet at Burnley in just ten days time to start another vendetta against Chelsea with the focus being Cech and Courtois to begin with. I really hope we get to see a real battle for the start for the whole season because we haven't really had that with Cech ever since Carlo Cudicini was here. So what happens if Courtois IS selected ahead of Cech? Well the press would have you believe that the legendary Goalkeeper and record breaker Cech would leave the club as he still wants to be number one. As I said earlier, the majority of Chelsea fans want to see them both fight hard with each other all season long but it's not just the Chelsea fans watching. You can bet your life some big, big clubs out there are monitoring the situation with these two and would be ready to pounce if Cech was to become available. In recent days we are reading that Monaco, PSG and now Real Madrid are all watching developments and would be more than happy to take Petr Cech away from West London either back to France where Chelsea signed him in the first place or off to join up with his old boss Carlo Ancelotti in Spain. We are not going to hear the end of this right up until the transfer window closes for the summer at the end of the month. You cannot help but think that despite wanting to see the best for our club with the two of them going head to head, Cech could be on his way. I hope I am wrong. What do you people think?